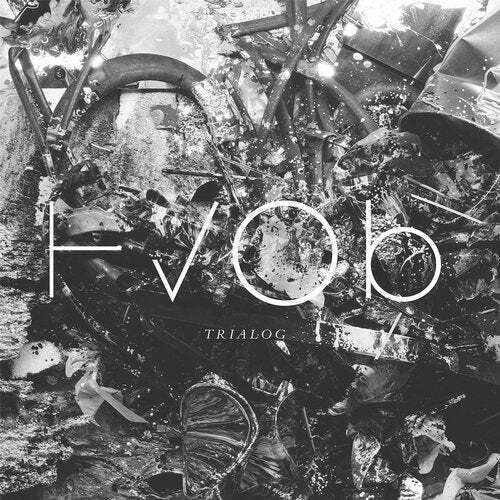 HVOB: Trialog HVOB present their second album as an interdisciplinary work of art: ten physical processes are reflected in interactive installations, visuals and sounds. With their successful debut album (HVOB, 2013) and five EPs, HVOB have crafted a unique panoply of sound: intelligent and driving, challenging and melodic. Trialog, the second album by the producer duo Anna Müller and Paul Wallner, will be releases on April 17th. Above all, Trialog is an interdisciplinary art project, comprising a discourse between the disciplines of sound, video and installation, realised by HVOB, the VJs licherloh and the visual artist Clemens Wolf.The theme centres on ten ubiquitous physical processes, which are being documented and interpreted interactively on three artistic levels; via Clemens Wolfs orchestrated processes, the lyrics and sounds of HVOBs tracks, and the visuals by VJs lichterloh. Tearing, mixing, bursting, melting, oxidising, breaking, imploding, etching, bending, burning, track to video, video to artwork, artwork to track: Trialog depicts the transformation of ten physical processes in ten tracks. HVOBs sound distinctively shapes the album, yet the duo now interpret their acoustic palette in darker, more accentuated, techno-leaning shades. Each of the ten tracks pursues its own individual dramaturgy: the opener Azrael tears apart its built-up percussive tension, Clap Eyes inches along frailly, The Anxiety to please deepens and condenses until it implodes. References, inspirations and associations between materials, processes and artistic disciplines create an artistic depth, which renders the album a highly complex and complete work of art. Within the space of three years, HVOB have not only established themselves within the international music scene by way of their releases, but also as a live-act. The duo strictly plays live and invariably performs with a drummer. HVOB played in 20 countries in the past year alone; at CTEMF in Cape Town, the Berlin Festival or SXSW in Austin. The conceptual framework of Trialog will also be translated into a live-show. In dialogue with lichterloh and Clemens Wolf, HVOB have developed an audio-visual experience, which theyre presenting globally this year. Next to Europe, dates in Central and North America, Africa and Asia are already confirmed.